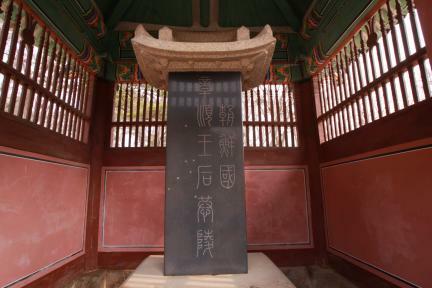 파주삼릉은 공릉(장순왕후)과 순릉(공혜왕후), 영릉(효장세자와 효순왕후)으로 구성되어 있다. 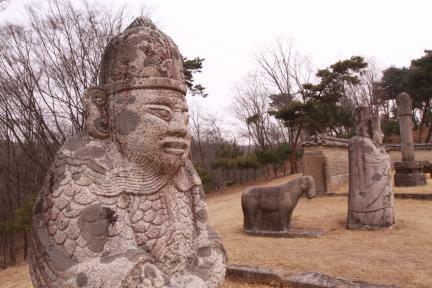 공릉은 조선 8대 예종의 원비인 장순왕후(1445∼1461)의 무덤이다. 장순왕후는 한명회의 딸로 1460년에 세자빈에 책봉되었으나 이듬해 죽었다. 처음에 왕후릉이 아닌 세자빈 무덤으로 만들어졌기 때문에 병풍석, 난간석, 망주석은 없다. 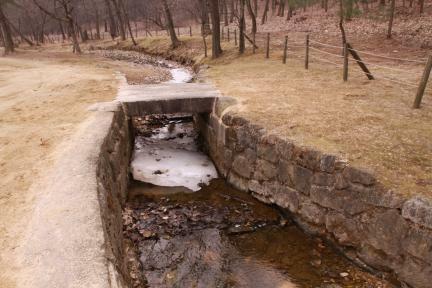 다만 양석과 둘레돌을 둘러 무덤을 보호하게 하였다. 순릉은 성종의 원비 공혜왕후(1456∼1474)의 무덤으로 공혜왕후는 왕비로 봉해진 후 5년 뒤에 세상을 떠났다. 무덤 밑둘레에는 12칸의 난간석이 둘러져 있고 양석, 호석, 망주석 등의 석물이 서 있다. 영릉은 죽은 후에 왕으로 추존된 영조의 첫째 아들 진종(효장세자)과 부인인 효순왕후(1715∼1751)의 무덤이다. 왕릉과 비릉은 쌍릉으로 병풍석과 난간석은 세우지 않았으나, 석상을 앞에 두었다. 장명등은 중간에 배치하였으며 무덤 밑둘레에 양석과 호석을 둘러 무덤을 보호하게 하였다. 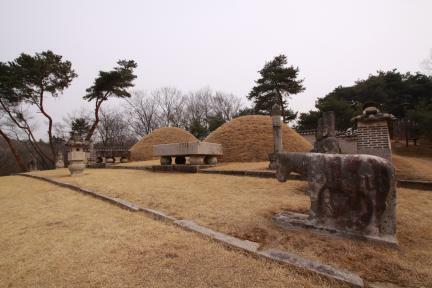 This is a royal tomb complex where Gongneung, Sunneung and Yeongneung are placed together. 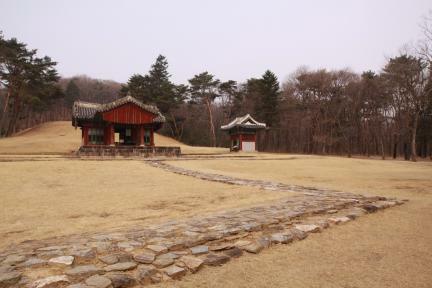 Gongneung is the tomb where Queen Jangsun (1445∼1461), the wife of the eighth king of Joseon, is buried. 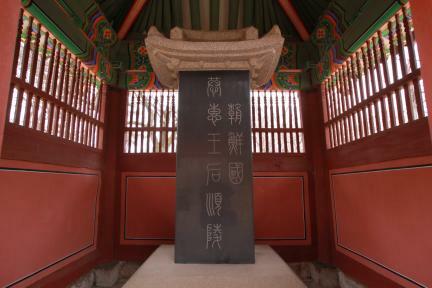 Daughter of Han Myeong-hoe, a noted vassal at that time, she became the wife of the crown prince in 1460 but passed away after one year. 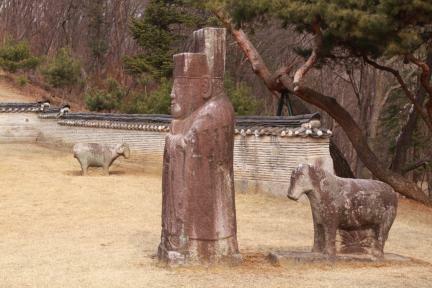 Since Gongneung was the resting place for the wife of the crown prince, there was no stone screen or balustrade, only several stone slabs protecting the tombs. 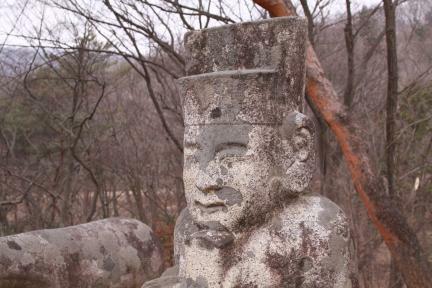 The wrinkling on the clothes of the civil officer statue displays the method of the early Joseon Dynasty, but it is not delicate. 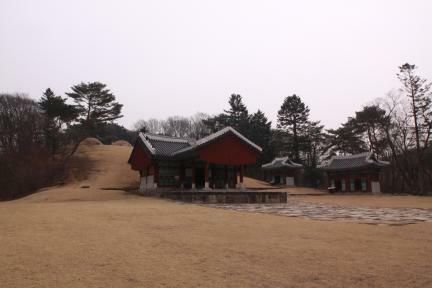 It is usual for the red colored path from the door to the tomb to be straight but in this tomb it is straightly curved in the middle because of the geographic features. 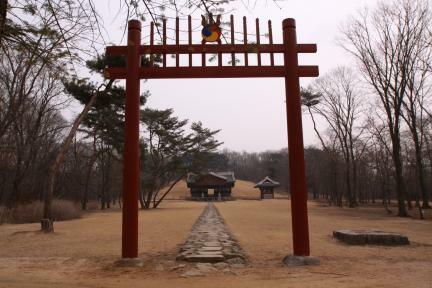 This is the only tomb among the Joseon royal tombs with a curved path. 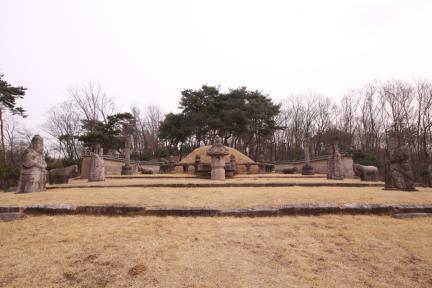 Sunneung is the tomb where Queen Gonghye (1456∼1474), the wife of King Seongjong, is buried. She passed away five years after becoming queen. 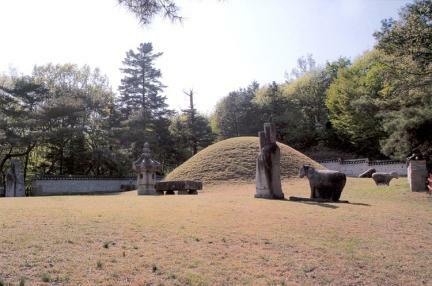 The bottom circumference of the tomb is embosomed in a balustrade and surrounded by stone sculptures. 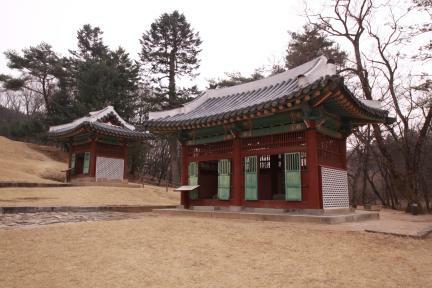 Little decorated pillars on the balustrade are modeled after those in Geonwonneung and in Heonneung and illustrate the style of the early Joseon Dynasty.